For the fourth consecutive year, Medix was recognized on Inc. Magazines ‘Inc. 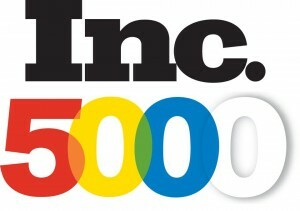 5000’ list of the fastest growing companies in the country. Our loyal clients and hard-working talent are a huge part in this accomplishment, and we are incredibly humbled and grateful for their partnerships! The additional element which continues to elevate our organization is our internal team’s unwavering dedication to reach higher. When leaders are not clear about what they expect from their team, the team will not know what to work toward. How can employees be motivated if they don’t know what to be motivated for? Be transparent about your expectations and goals for your team, so they can have a sharp focus. At Medix, our big picture is our company goal of positively impacting 20,000 lives by 2020. We make a point to incorporate this goal in everything from company-wide conferences to team emails. Keeping the big picture in sight helps make it more than just a big picture – it turns it into a familiar and attainable goal, giving your team that extra push. Many believe that keeping your team motivated means only sharing good news to maintain positivity. Again, it all comes down to transparency. Bad news doesn’t need to just be negative; it can be a call to action for your team and further sharpen their focus on what needs to be done to move forward. Lastly, make sure you’re recognizing your teammates for their accomplishments. It may seem simple, but little acknowledgement goes a long way. Whether it’s a heart-felt ‘thank you’ or company-wide awards, highlighting your teammates’ achievements on top of being transparent and keeping the big picture in reach will reignite motivation and get them hungry for continued success. Have additional insight to share? Leave a comment! This entry was posted in Clients and tagged achieving as a team, achieving your goals, inspire your team, motivate your team, Teamwork. Bookmark the permalink.